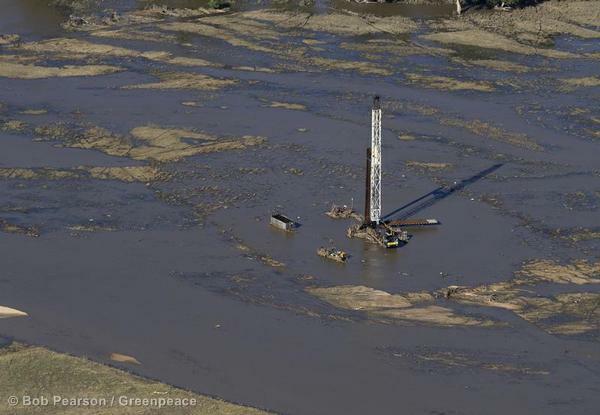 An oil derrick is surrounded by flood waters along the South Platte River near Greeley as clean-up from recent flooding continues in the Colorado Front Range, US. Reports from emergency officials indicate there are over 20 oil spills from flood damage in the Evans and Greeley area. 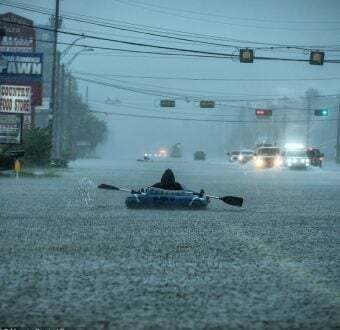 Torrential rains that lashed the northern Front Range of Colorado delivered six months worth of normal rainfall from September 11 to 15, 2013 causing a record flooding in the area. With approval from major drilling and fracking companies, Colorado Governor John Hickenlooper has proposed a set of regulations to reduce pollution from methane and other dangerous gases leaked by the oil and gas industry. The rules are focused on fracking wells, a mostly unregulated drilling technology that has allowed an unprecedented increase in fossil fuel extraction in Colorado and across the nation. The proposed regulations address a serious hazard posed by the massive growth of fracking in Colorado. There are over 51,000 fracking wells in Colorado, most of which have been drilled in the last four years. These wells, which produce both gas and oil, also leak gases like methane, the primary component of natural gas and a potent greenhouse gas. Methane is up to 105 times as powerful as carbon dioxide as a greenhouse pollutant. Scientists have theorized that fugitive emissions of methane from fracking wells could make gas worse than coal pollution for the climate. Fracking wells also leak volatile organic compounds (VOCs), which cause asthma, cancer, and severe illness. Oil and gas emissions are the main source of volatile organic compounds in Colorado and the third-largest source of nitrogen oxides.There have been many reported cases of illness from fracking pollution in Colorado since the boom began, causing families to uproot for the sake of the health of their children. 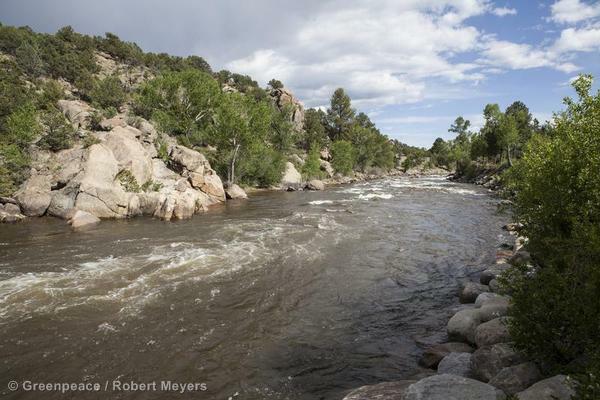 The headwaters of the Arkansas River near Buena Vista, a natural area that may be impacted by air and water pollution from fracking. Smog caused byfracking emissionshave already sent toxic ozone readings soaring in what was once pristine Rocky Mountain habitat.Ozone-forming air pollution measured along the Colorado Front Range by scientists is up to twice the amount that government regulators have calculated should exist. The researchers pinpoint oil and gas development as the main source. Studies of fugitive methane emissions from fracking have found astounding levels of pollution. 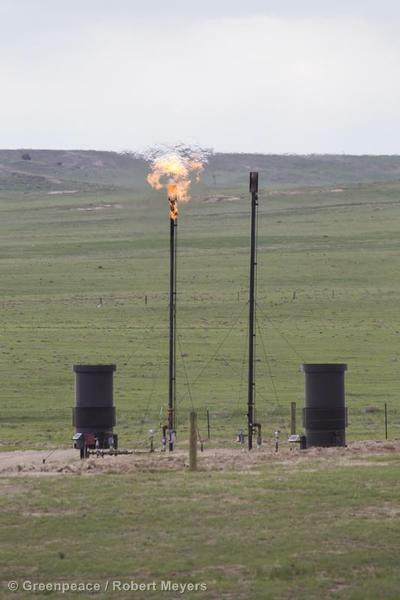 A study form the Uinta basin in Utah, found massive methane leaks from fracking wells. 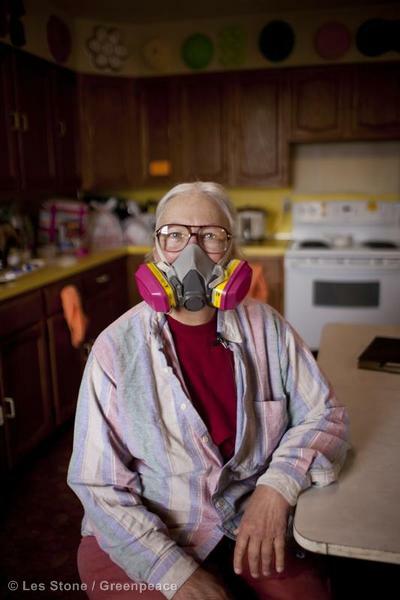 In Uinta, wells were estimated to be leaking 60 tons of methane per hour. The response from fracking groups to the new rules has been tepid.The Environmental Defense Fund (EDF), a group which claims fracking can be done safely, helped create the proposed legislation. Fracking has grown increasingly controversial as people in shale areas feel the environmental and health impacts of the hundreds of thousands of wells drilled each year. In the debate over fracking, EDF has played the role of the pro-industry environmental group. They have partnered with the oil industry to produce a series of studies on the dangers of methane pollution from fracking. Their first study, which was published in September of 2013, found surprisingly low methane pollution from specific parts of the fracking process. However, the sampling of fracking wells used in the study was controlled by the gas corporations who owned them, and many of those involved in the study were later found to have significant ties to the gas industry. EDF is involved in a congruent partnership with the industry called the Center for Susdainable Shale Development (CSSD). As part of this group, which includes Shell, Chevron and other major gas industry players, EDF would givefracking wells an environmental seal of approval, in the form of a CSSD Certification. The biggest fracking lobbyist groups, who generally oppose all regulation of the industry, do not support the new rules.A spokeswoman for the American Petroleum Institute said the group hadnt taken a position on the proposed regulations.Colorado Petroleum Association president Stan Dempsey questioned the state’s authority and the need for new rules. As the fracking industry tacitly admits by supporting this regulation, fracking poses a serious and as yet unmitigated danger to air quality. It is unknown when these regulations would take effect and given the number of wells already drilled in Colorado and the cost associated with retrofitting all of them, it is unclear if old wells will be required to adhere to the new rules. Air and water pollution from fracking is already impacting people throughout the United States, and if air quality is in danger from fracking in Colorado, it is in danger wherever fracking is occurring.